Myriad studies over the recent past show that more than 70 per cent of Kenyans rely on public service vehicles, especially matatus, for transport. The graphic designers employ interior and exterior artwork highly influenced by pop culture, sport diverse arts featuring hip hop artists, international pop stars, athletes, political icons and even religion. These buses blast homegrown music promoting up-and-coming Kenyan artists. Millennials are willing to premium fare for vehicles with quality music systems and there a worthwhile. The competition for the hottest matatu is usually based also on screens plastered where one would even boast up to six screens. Some go further to placing the on the exit doors for other pedestrians to marvel. This is all for the purposes of outdoing each other. The 2019 CES show holds great for the matatu culture especially those willing to go make an extra in quality equipment for the display and sound system. 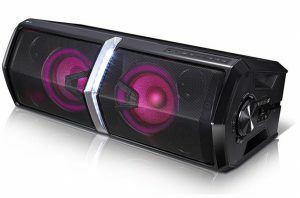 LG’s high-end XBOOM deliver a robust 2,000W output, employing a proprietary Blast Horn – a folded air duct behind the driver designed to create acoustic sound pressure by directing air through an amplifying duct – to improve high-frequency reproduction and bass performance; creating sound users can feel as well as hear. The XBOOM lineup comes with DJ Star features enabling its users are able to deftly fade in and out of tracks, cue up future tunes and scratch like a professional DJ. It also employs Karaoke Star, a fun feature that can suppress the vocals on various records. The 18 unique vocal effects pair perfectly with the new Multi-Color Lighting feature, a range of preset lighting options including the ability to sync with whatever track is being played, accentuating the beat and heightening the ambience. Furthermore the matatu culture can embrace OLED TVs heightens picture and sound quality thanks to deep learning algorithm and analysis of a vast database of over one million visual data points, enabling accurate recognition of content and optimal visual output. Available in 88-inch and 75-inch options, these screens boasts higher processing capabilities for delivering the most realistic 8K picture quality that looks sharp, vivid and improved noise reduction. Powered by the company’s second-generation Alpha 9 Gen 2 intelligent processor and deep learning algorithm, the new models offer a higher level of AI picture and sound experience quality. “Our audio-visual line up is created for immersive entertainment that creates an enjoyable atmosphere, whatever the occasion,” says LG East Africa Asst. Manager Marketing & Corporate Communications, Ms. Maureen Kemunto.